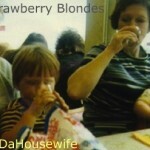 Summer 2000 – Two Strawberry Blondes is the first EP from DJ Selina DaHousewife. This work marks Selina’s entry into production. Teaming up with Scott Hill (hence the title), Selina has fused the funky club soundtrack that she is commonly known for, with the more classical pop sound that Scott produced for DomesticBliss in the early 1990s. Produced and engineered by Selina DaHousewife. Sleepless Nights written by B & F Bryant/S.Hill Vocals by Scott Hill. I Who Have Nothing written by Mogol, Donida, Leiber, Stoller. Produced by Davies & Bowler. Vocals and samples by Scott Hill. Theme From You Boys vocals by Eve. Vocals recorded by Micky Manymoons. 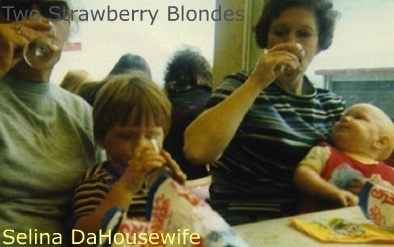 Art directed by Alma Weldon at HouseWork. Cover image concept by Liz White.